Five Telegrams is a bold new musical and visual work by Anna Meredith and 59 Productions, co-commissioned by BBC Proms, 14-18 NOW and Edinburgh International Festival for our Aberdeen Standard Investments Opening Event. Comprised of five distinct movements, it reflects on the centenary of the end of the First World War and celebrates Scotland’s Year of Young People through exploring five themes of communication relevant to the period. Composer Anna Meredith, in a short film made by the BBC, claims that she and Richard Slaney, managing director of 59 Productions, searched for themes that felt “both old and new and exciting to us creatively, but that were distinct to each other as well,” when researching inspirations in the Imperial War Museum. This production presents what they found in a contemporary and exciting way. Anna and Richard decided to split the piece into five movements from the start of the creative process. They wanted to use smaller components, which Anna loves to work with and push the boundaries of, to build a huge spectacle, which is the specialism of 59 Productions. 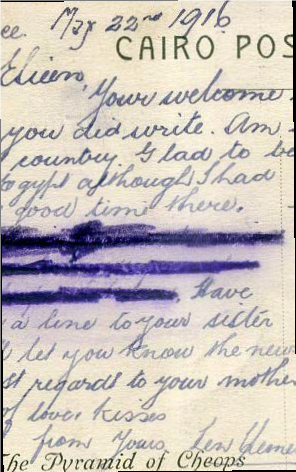 14-18 NOW were keen that Anna and Richard take any element of the war they were interested in and embrace it, and so they settled on communication after being struck by the Field Postcards that soldiers sent home, which you can read about below. As the piece explores five different mechanisms of communication, Anna had the task of making all of the movements very musically distinct. When writing music, Anna first sketches out the ‘shapes’ of her composition on a musical timeline, paying attention to the pacing which is vital to any musical arrangement. This then acts as a map for when fleshing out the composition of the five individual movements, and acted as inspiration for 59 Productions, who have the task of making these shapes and ideas appear on Usher Hall via the art of projection. Anna Meredith's composition style in action. These five movements are short bursts of historically-inspired marvel, and an interesting take on the fact that how people communicated one hundred years ago is not so different from today. Here you can discover what the five movements of Five Telegrams are and how they will be conveyed in the performance. Also known as propaganda, spin was a way of burying the truth beneath positive takes in the press, or carefully crafting messages to twist public opinion. 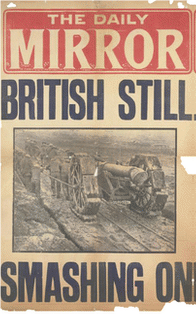 The government considered this a necessary part of the war effort to keep up public morale at a time when total war was taking its toll on the home front. Some historians associate the First World War with the birth of spin, and according to historian Neil Oliver, the same techniques are echoed through government media campaigns in the modern day. Spin shows how different the truth can be from what the public are told, something which has contemporary as well as historical relevance. Increasing amounts of musical tension play a big part in this movement, which Anna describes as shouty and overconfident. Richard and Anna have both spoken about how the most emotionally moving method of communication they researched was personal communications. The field postcard, an A5 piece of card sent home from the soldiers at the front, was their starting point for the whole piece and something which they found particularly striking. 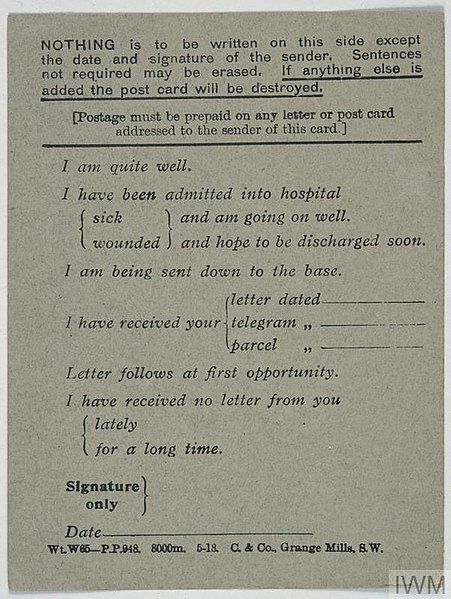 Used by millions of soldiers, they would cross out non-applicable answers on the multiple-choice form of pre-written options to let those at home know if they were well, injured or in hospital, and other such basic information. With limited options, it was a means of quickly and conveniently letting loved ones know if they were alive but not much else. Additional messages or personalisation beyond a signature and date would result in the destruction of the postcard. This state-dictated restraint and content control was a very economical method of communication, and so in this movement, young voices sing out the words of a field postcard in a similarly economical fashion, before lyrical options open up to feature brief moments of individuality. 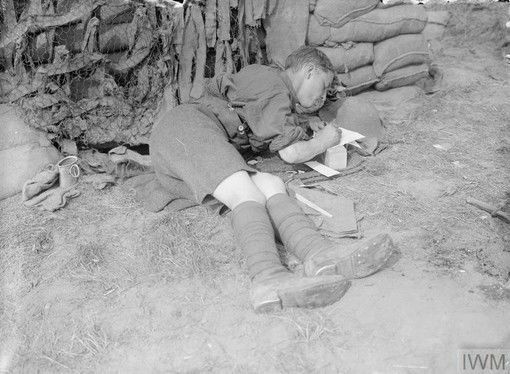 Some soldiers sent picture postcards home, however, in accordance with the Defence of the Realm Act, these all had to be read by junior officers who were instructed to obscure, censor or edit out any sensitive information. Details that may have been deemed valuable to the enemy, such as the names of towns and even the weather, were cut out with scissors, resulting in unusually-shaped postcards with both physical and informational gaps. The containment of communication often led to personality and character being lost in personal messages, which is reflected in both the music and visuals of this movement through patterns of obscurity and obliteration becoming the dominant over the original feature. Much like censorship, redaction often has negative connotations in the modern day, however, in the First World War it was seen as a necessary measure to protect the army and British interests abroad. Anna describes the structure of all the movements as economical, almost being more about “what they don’t say than what they do say,” but this is particularly felt in this section with the conflict between the original idea and the contrasting musical elements that appear as the piece goes on. Long before the days of Bletchley Park, early Twentieth Century code-breaking was the job of linguists, lexicographers and ancient historians. 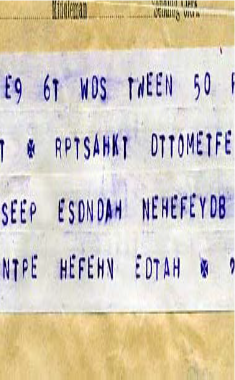 Even the simplest of machines were not introduced into codebreaking operations until 1916, meaning that for much of the war it was a very slow, arduous and labour-intensive process of trial and error. You may notice Usher Hall transformed into a giant top-down combination lock, which is a contemporary homage to the art of codebreaking that was vital to the war effort. Listen and look out for various repeating patterns in the music and projections which lock and clash together in the formulation of new shapes and in search for a pattern that works. Although the word armistice may trigger images of triumphalism, gladness and flag waving, what history shows is that feelings of weariness, exhaustion and confusion were far more palpable. In fact, the morning of November 11th 1918 was a messy, confusing, and ultimately tragic one, with many losing their lives simply due to missed or miscommunication. 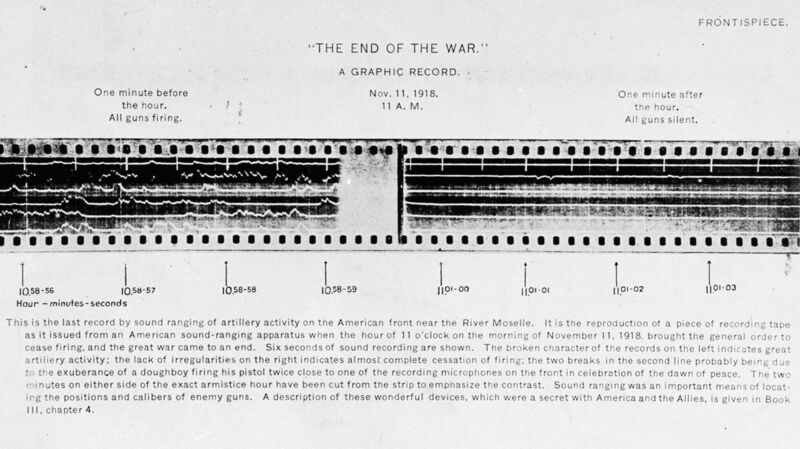 This movement was particularly inspired by the image of a sound wave recording from the front that fateful morning, which grows increasingly larger until flat-lining at 11 o’clock. Confusion, delay and misunderstanding led to many dying that day, and so the piece does not end on a celebratory note, but rather lets the question of ‘what next?’ silently ring out, emphasising the pointlessness and devastation of war. The music is far more sombre and contains higher levels of tension than some may expect, but it is an accurate and poignant reflection on the end of the First World War. What Richard and Anna found in their research, and what the overall piece conveys, is that these seemingly old-fashioned methods of communication and their mechanics are just as constrained and concise as the modern tweet or other such forms of communication we use in the present day, where concision is a necessity and misinterpretation is a daily ran risk. Through the study of what could be considered a niche element of the war, the wider themes it highlights can aid in our reflections in this centenary year, and can help us connect with those who were there. We hope that in the Aberdeen Standard Investments Opening Event: Five Telegrams, you can see how the different movements come together and how these themes of communication are conveyed through this modern sonic and visual experience. Aberdeen Standard Investments Opening Event: Five Telegrams opens the Edinburgh International Festival 2018 in Festival Square at 10.30 pm on Friday 3rd August. Join the Facebook event for updates about newly available tickets.